Laura Ramsey in 'Are wewe Here'. 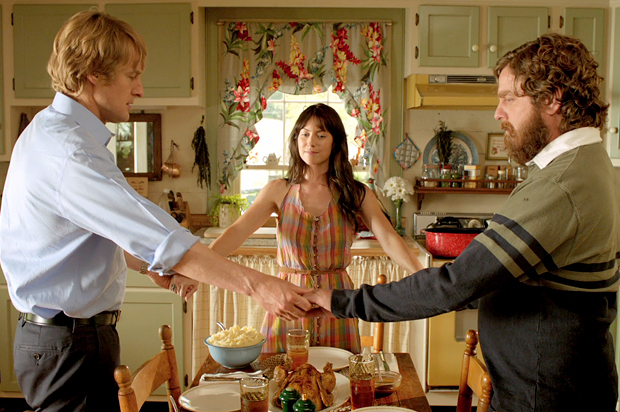 Owen Wilson as Steve Dallas, Laura Ramsey as Angela Baker and Zach Galifianakis as Ben Baker in Are wewe Here (2013). Wallpaper and background images in the Laura Ramsey club tagged: photo laura ramsey movie still are you here 2013 angela baker zach galifianakis owen wilson. This Laura Ramsey photo might contain bistro, brasserie, chakula cha jioni meza, and meza ya chakula.